The age old idea that slow and steady wins the race applies to few endeavors with the same accuracy that it applies to professional bodybuilding careers. The decision to either treat bodybuilding like a sprint, or like a marathon, can and will have a monumental effect on any bodybuilding career. This could be seen fifty years ago, and it remains true to this day. There are several pros competing today, as well as throughout history, who have drastically altered the path of their careers through the use of a program that was too hasty for them, or one that was the perfect pace. This slow and steady approach does not only apply to elite bodybuilders. In fact, I often advise young people who are just getting into working out to not ever get discouraged by people who are muscular and lean by nature with little to no work. I tell them that although these individuals might be genetically superior, it is often the case that they coast by on these genetics, causing them to stagnate or regress as the years go by. If you are to do your best and be consistent with your diet and training year after year, it is very likely that five to ten years down the road, these same genetic freaks will be the ones looking at you with jealous eyes. While this example is certainly different than the example of two professional bodybuilders, as both of the professionals will have outstanding genetics, it still applies in regards to the value of taking your time, and not rushing. There are several examples of top bodybuilders who took the slow and steady approach and formed very impressive careers because of it. Names like Lee Priest, Dexter Jackson, Toney Freeman, and Troy Alves immediately come to mind. These are competitors who did their own thing, grew slowly, and never fell into the trap of attempting to get too big too fast. Lee Priest is a true example of natural progression. Lee was jacked out of his mind at fifteen years old, and continued to put on small amounts of muscle every year, and five years later he was professional quality. Today, at Forty-three, only the lingering effects of a car accident stand between him and more professional wins. Not bad for a guy who started competing at thirty years ago at thirteen years old. Dexter Jackson was ridiculed throughout his entire career for “never changing”. It is now obvious that The Blade knew exactly what he was doing. Dexter has won the Mr. Olympia title once, the Arnold Classic a record five times, and continues to be a threat to win any show including the Olympia, despite being forty-six years old. The vast majority of the men who “out-sized” him in the past are long since retired and have far fewer wins to their credit than Dexter. Toney is another guy who made sure to take care of himself and put his health first while coming up the ranks in bodybuilding. Toney is still on the circuit taking names, even as he approaches being half a century old. Not only that, but Toney could pass for a guy who is in his late 20’s with his high skin quality and tight waistline. Take a good look at most other 50 year old bodybuilders or retired bodybuilders and you will clearly see that Toney is of a different order. Maybe Toney deciding not to weigh 350 plus pounds in the off season was a wise strategy after all. Interestingly, most of the legendary bodybuilders from the 1990’s also took this approach. Shawn Ray being the best example. Shawn used this tactic to place top five at the Olympia for over a decade. 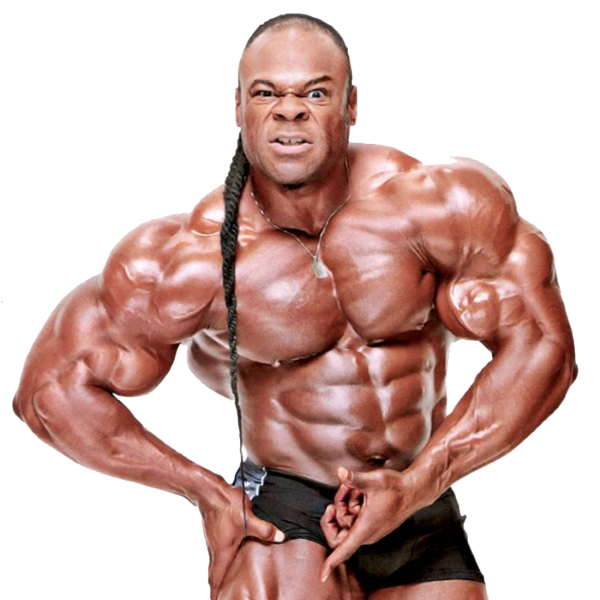 Just like in the case of Dexter Jackson, fans would ridicule Shawn for never changing as well, when the truth of the matter is that he was simply changing more slowly. What more do you need to change when you are a threat to win the Olympia for ten years in a row? Kevin Levrone never made huge jumps in muscle mass from year to year, and Flex Wheeler only did it one time. Not surprisingly, that one time backfired on Flex. Arnold himself was very muscular as a teenager and just continued to add muscle slowly, until he became the best built man on earth at the time. It’s hard to argue with the results that all of these names have shared. While at first glance it may seem otherwise, I do believe that most good pros have taken their time getting there. Reason being, the rushing strategy will almost always shorten, or at least hinder, a young bodybuilder’s career. This is why examples of it are rare at the top of the sport. Nonetheless, there are still plenty to discuss. Phil Heath, Justin Compton, Dorian Yates and Ronnie Coleman all fell victim to the temptation of speed and efficiency. Phil Heath was warned to not get too big too fast for years and years. In fact, he would even make mention of never allowing himself to get too big, on a regular basis. Low and behold, in 2012, at just his second Olympia, Phil had already gotten too big, to never be the same again. Justin Compton was not the type of bodybuilder who a person would warn about getting too big, due to the size of his frame, and the fact that he did appear to need more size. At the 2015 Arnold Classic, that all changed when Justin came in way too heavy, sporting a fairly disturbing gut. Justin then proceeded to take another year off in an attempt to get even bigger. The result was a version of his physique that placed fourth at the Arnold Classic this year on a gift, down one placing from 2015. This was a guy who went from having most people calling him a future Mr. Olympia, to no longer being in the running for a top five finish, in just one year of bulking. Dorian Yates did not necessarily get too big, but he certainly went too intense for too long. Dorian has said himself that if he could go back in time to early in his career, the one thing he would change would be how heavy he trained pre-contest. The result of not slowing down on his pre-contest training was several torn muscles that helped bring Dorian’s career to a premature end. If Dorian was able to win multiple Mr. Olympia titles with torn muscles, imagine what may have been possible for him to accomplish had he never torn a muscle at all? Ronnie Coleman is the most unfortunate example of the bunch. Disappointing because Ronnie did in fact take the slow and steady approach early on in his career, including his first few Mr. Olympia wins. Ronnie had an unbelievably small waist all throughout the 90’s, right up until his fourth Mr. Olympia win in 2001. Right around that time was when Ronnie started getting too big for his own good. While Ronnie did go on to demolish the Mr. Olympia lineup in 2003, there was nowhere for him to go after that show. The argument here is obviously not that Ronnie ruined his career by getting to big, as he had the greatest career in bodybuilding history, but rather to show that even the most elite bodybuilders can succumb to the mistake of getting too big too fast. Any young bodybuilder out there should take these words to heart, and focus on making very gradual, but consistent improvements, as opposed to making an attempt to gain fifteen pounds of muscle this year, or whatever it may be. Cody Montgomery is the perfect example of an athlete who must keep this in mind. At twenty-one years old, Cody will still be the youngest guy in any professional line up for the next five years. If time is on your side, use it. Let’s say Cody competed at the Arnold this year weighing about 225 at 5’7” or so. If he were to gain only two pounds of muscle a year for the next five years, he would be 235 onstage at 5’7” and still only twenty-six years old. This simple example makes it very clear as to why a bodybuilder attempting to gain a lot of weight very fast does not make logical sense, assuming you have any amount of time on your side.